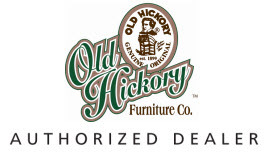 Old Hickory Furniture uses the highest quality oak and pine veneers available. 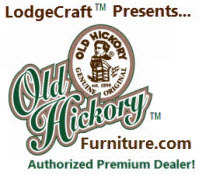 They are lightly distressed and stained with Puritan, Rustic or Centennial finishes. 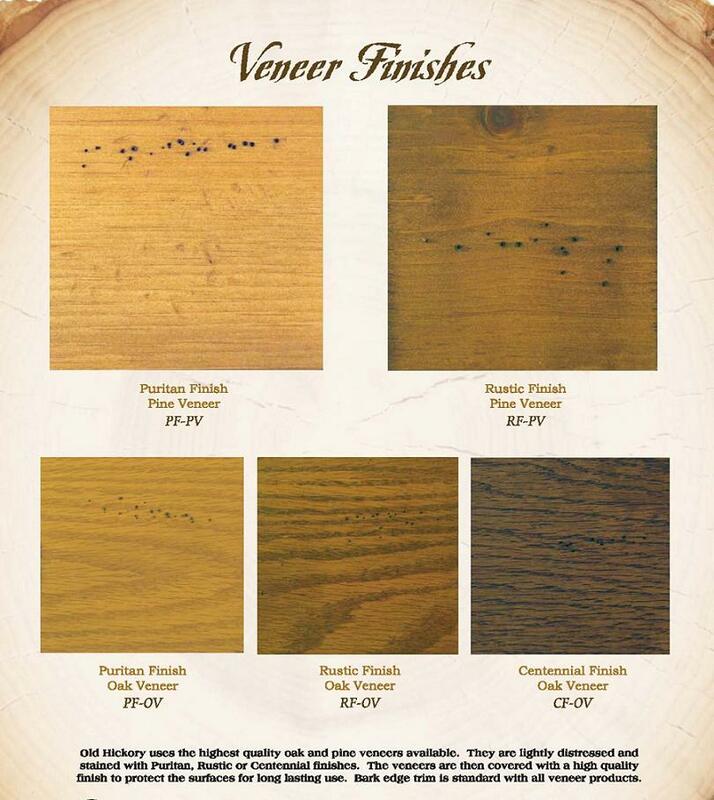 The veneers are then covered with a high quality finish to protect the surfaces for a long lasting use. 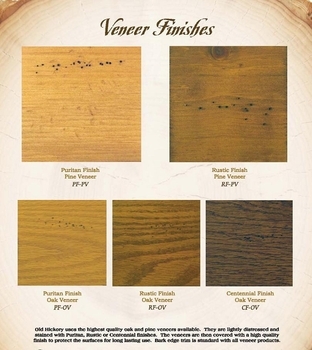 Bark edge trim is standard with all veneer products.